As we celebrate the last day of LGBT History Month, I am reflecting on the amazing civil rights work being done by Binyavanga Wainaina. Let us all hope that every country in Africa will celebrate and embrace the LGBTQ community. I am also hopeful that the transgender community will be celebrated and embraced with the visibility and leadership of people like Laverne Cox and Janet Mock. I think it is also important to look back and be able to honor those that came before us — to pay tribute to those who assumed level of risk, so that future generations might have an easier life just for being who we are. Thank you, José Julio Sarria. Thank you, Harry Hay. While many states can now enjoy and celebrate marriage equality, this does not mean that LGBTQ people are no longer targeted or marginalized. Of course, we must not forget that the disproportionality of targeting/marginalization is greater for people of color who are also LGBTQ. Of course, this is also the time when I get to highlight some of my favorite LGBTQ stories over the years. Yes, our Dumbledore is on the list of favorites, as is Professor Sprout (Miriam Margolyes). Of course, I have to include Bayard Rustin as one of my favorite heroes. As with Black History Month and Women’s History Month, I wish we did not need LGBTQ History Month, but the fact is we do! We must not fall into the delusion that people in the United States and all over the world are treated equally by virtue of being human. In most states in the south it is not safe to be part of the LGBTQ community. In Uganda it is legal to kill gay people – a proposal seen just recently here in the United States. I bring up Black History Month and Women’s History month because of all the people who have multiple identities and experience oppression on multiple levels. Marriage Equality is just a small portion of what needs to be addressed regarding civil rights. Violence against the LGBTQ community has increased by 13% over the past year, with people of color, transgender and gender non-conforming folk being especially targeted. A Call To Action: I ask that all of our allies/supporters to raise your voices — stand in solidarity with those of us in the LGBTQ community. Together we have the power to eradicate homophobia, transphobia, racism, misogyny, and poverty. Today I would like to honor and celebrate Representative Jared Polis from Colorado. Polis is currently one of a handful openly gay member of congress — no small feat given how welcoming John Boehner has made the House of Representatives for the LGBTQ community. He’s also the first out gay parent to serve in Congress. Polis has dedicated his life to improving education. While his business enterprises have been diverse, he has focused his extensive philanthropy and political aspirations on ensuring access to quality education for everyone. His first elected office was to the Colorado State Board of Education, where he served part of his term as Chair. He also worked to ensure the passage of the largest school bond proposal in Colorado history, improving and modernizing educational facilities in the Boulder Valley School District. Polis has put his own money to work as well, creating a foundation dedicated to creating “opportunities for success by supporting educators, increasing access to technology, and strengthening our community.” His work focuses on ensuring that schools have adequate technology to prepare students for success in a rapidly changing world. He also demonstrates amazing dedication to issues of racial equity, as he strives to create better access for targeted and immigrant children. Since 2008, Polis has been the Representative for Colorado’s 2nd District. In Congress he continues his push for quality education, serving on the House Committee on Education and the Workforce. He also chairs the Red to Blue program, helping Democratic candidates in competitive Republican-held districts. Rep. Polis is an outspoken critic of the lives and money the U.S. has wasted in Iraq and Afghanistan. A staunch supporter of civil rights, he has supported legislation and action opposing US involvement in countries with anti-gay laws as well as programs supporting the LGBT community in Iraq, Honduras, and elsewhere. 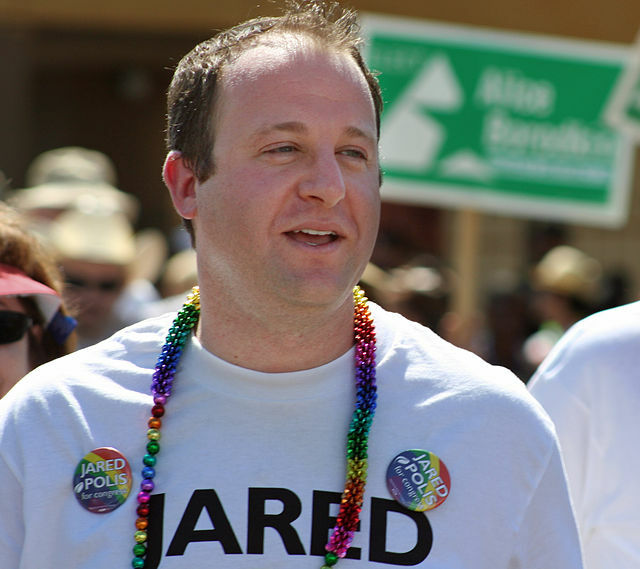 Jared Polis has been open and out throughout his career, providing a visible example of a proud, successful gay man as well as a supportive partner and father. I would also like to take time to thank all of the LGBTQ parents raising children and being visible! It is still relatively early in Rep. Polis’ career, but his work thus far indicates a commitment to equity and opportunity. I look forward to seeing how that passion grows. 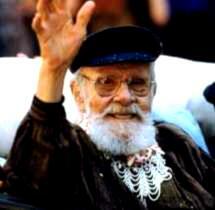 Today I would like to honor and celebrate the late Harry Hay. Hay, whom many consider the founder of the Gay Rights movement died in October of 2002. Hay understood intersectionality, as he advocated not only for LGBT rights, but also for the Labor movement, and for Native American civil rights. Hay founded the Mattachine Society, a leftist gay liberation organization which worked for the civil rights of homosexuals during the 1950s. The Mattachine Society was tied to the Community Party during the age of McCarthyism here in the United States, which made it difficult to secure consistent leadership. Many members left the society in fear of the dire actions being carried out by McCarthy’s henchmen. Unlike other gay liberation movements, Hay strongly resisted the move towards assimilation. Like many gay men, Hay succumbed to societal pressure to deny his identity and try to adopt the identity of being heterosexual. This attempt led him to marrying Anita Platky. The couple adopted two children and later divorced, for Hay could no longer manage the pretense of being heterosexual. Sadly, 60 years later, we still see people engaging in heterosexual marriages due to the overwhelming societal pressure to be “straight.” Here is a perfect example of how the liberation of LGBT people is directly tied to the liberation of our heterosexual brothers and sisters and is connected to the liberation of other targeted populations. I know my own narrative and activism as a gay man helped to pave the way for my activism around other social justice issues, such as eradicating racism, misogyny, and poverty. Hay’s first male partner was none other than the amazing civil rights leader Will Geer, whom many remember only for his role as the grandfather on the television show the Waltons. My husband and I loved Geer in the 1954 film adaptation of Salt of the Earth — not a trip to chuckle town, but a great film about social justice racism, and poverty. Years later, Hay and his partner John Burnside would look to the Mattacine Society and Native American cultures that revered gays for inspiration to start the Radical Faeries in 1979. Today, I am aware of two Radical Faerie communes that still exist; one in Tennessee and one here in Oregon. Harry Hay was a true pioneer — a bold speaker of his personal truth who demanded that everyone be afforded the right to live openly, honestly, and safely. Justly called the “Father of Gay Liberation,” he is a person to whom we all owe a continued debt today. 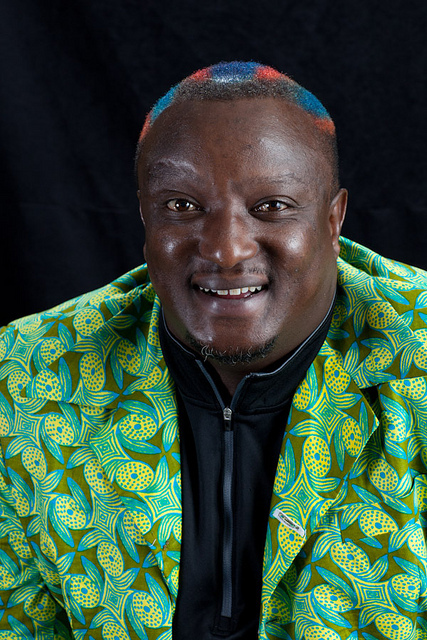 Today we honor and celebrate Binyavanga Wainaina. Wainaina lives his life as an out and visible gay man in his home country of Kenya. He has become a greatly celebrated gay rights activist for all of Africa — no small feat given the laws in Uganda and Nigeria criminalizing homosexuality. Sadly, even members of parliament in Wainaina’s home country of Kenya are now looking at adopting serious anti-gay laws. Africa is going through an amazing time. Both turbulent, terrible but moving. Change is in the air, and I want to be inside those changes. It seemed to me at a time when there was escalating pressure on the ability of queer Africans to live freely, that it would be a kind of reductive hypocrisy for me to remain silent. What a lovely and courageous soul our Wainaina is. I wonder how many of us would commit to being so out and visible in a continent that is so aggressively homophobic. Remember, there are laws in Uganda and Nigeria that make it legal to imprison and even kill LGBT people. Bravo, Binyavanga Wainaina. May your voice for social justice leave a legacy of peace and harmony for all of our LGBT family living in all parts of Africa. Today we honor and celebrate a man of diverse talents. Evan Tiesla Adams was born in British Columbia in 1966. He is a Coast Salish from the Sliammon and identifies as First Nation. Adams first came to prominence as an actor, starring as Thomas Builds-the-Fire in the moving film adaptation of Sherman Alexie’s Smoke Signals. I have to say that I found his performance in Smoke Signals extremely compelling. Adams is an exceedingly talented actor that really understands nuance. He won an Independent Spirit Award for that performance. An out gay man since the start of his career, he parlayed his personal experience into another award-winning role, co-starring in the 2002 film The Business of Fancydancing. He has also appeared in numerous television shows. Adams is committed to presenting an accurate picture of his life as an out First Nations man. He participated in the documentary Just Watch Me, narrating his struggles coming of age in 1970’s Canada. Adams is also a talented playwright, with numerous works performed around the world. Throughout his acting and writing career, he devoted significant time and energy to First Nations issues. Particularly interested in health care, he worked extensively on HIV awareness and drug and alcohol addiction treatment. In 2002, he completed a medical degree at the University of Calgary. While he has not abandoned the stage and screen entirely, he focuses on First Nations health care. 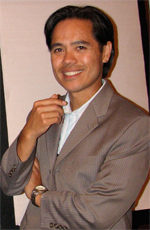 Adams was appointed director of the Aboriginal Health program in the University of British Columbia’s faculty of medicine. His work won great acclaim, resulting in his appointment as the first Aboriginal Health Physician Advisor to the province of British Columbia. In 2012, he was elevated to Deputy Provincial Health Officer, focusing on the needs of the province’s First Nations people. Whether presenting honest, nuanced depictions of First Nations people, speaking passionately about gay rights, or ensuring effective medical policies in his home province, Dr. Evan Adams is a dedicated worker for social justice. Thank you for your visibility and dedication to human rights. Today we honor and celebrate Dr. Rachel Maddow, a woman who is trying to bring real discussion back into television journalism. While a freshman at Stanford University, she was outed in a campus paper interview before she was able to tell her parents. I always love papers that out people just for the sake of outing them–my what code of ethics does that follow? Where is the journalistic integrity in outing people for no reason, save that it makes money, or causes a scandal, which just colludes with the dominant discourse? It would be different if they were outing someone with power that was using that power to hurt the LGBT community, but such was not the case with our Maddow. Fortunately, her family were supportive, and she has been out and proud ever since. After receiving her degree in public policy from Stanford, she was awarded a Rhodes scholarship, becoming the first openly LGBT Rhodes scholar. She received her Doctor of Philosophy from Oxford University with her thesis entitled HIV/AIDS and Health Care Reform in British and American Prisons. I’m undoubtedly a liberal, which means that I’m in almost total agreement with the Eisenhower-era Republican party platform. While still on Air America, she began regular guest spots on MSNBC’s nightly programs. Soon she was offered her own show, a TV version of her radio program, The Rachel Maddow Show. This made her the first openly LGBT host of a major prime-time news show in the U.S. She also routinely has her network’s most highly rated show – in what still remains a “white hetero male dominated” industry. Her program is a wonderful mixture of straight news, opinion, and interviews–all offered through a social justice lens. In fact, I’m not sure there are other national programs that stand in such solidarity with those that are marginalized and oppressed by those in power and charged with the task of representing all Americans. I love that Maddow holds these hypocrites’ feet to the fire. 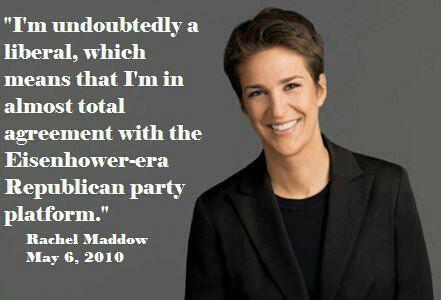 Maddow’s work has been consistently recognized for its quality and insight. She has been repeatedly nominated for the GLAAD Media Award for Outstanding TV Journalism, winning in 2010 for her expose on Uganda’s horrific anti-gay efforts. Both the Advocate and Out magazine regularly include her in their lists of the most influential out media personalities. Her coverage of health care netted her a Maggie Award from Planned Parenthood in 2010, the year she was also awarded the Walter Cronkite Faith & Freedom Award. It’s nice to see that an outspoken media voice with an interest in social justice can be recognized for her important work. I’m also grateful for her visibility as a lesbian, for the more visible we are individually and collectively, the more difficult it is to target and marginalize us! Brava, Ms. Maddow! Today we honor and celebrate a woman who is a powerful voice for the too often overlooked transgender community. Laverne Cox was born in Mobile, AL, not an LGBTQ friendly state or city. She graduated from Marymount Manhattan College and began an acting career. Cox was one of the first out trans women to make significant appearances on network television, especially as a woman of color. She appeared on two episodes of shows in the Law and Order franchise and was an out trans contestant on the VH1 reality show I Want to Work for Diddy. As her fame grew, she began using it as a platform to speak about trans issues and equality. Her fame has only increased since she was cast as trans prisoner Sophia Burset on the Netflix show Orange Is the New Black. It’s a compelling performance of a well-written character, and Cox deserves all the accolades that her work has garnered. That fame has made her one of the most famous and visible trans actors in the world and provided her with even more opportunities for advocacy and activism. Cox is a passionate speaker who has a powerful way with words. She makes her points clearly and supports them with the sad facts about the oppression and aggression directed at the trans community. She makes space for the unfortunate reality that very few people understand — or even try to — the complex realities of being a transgender person. When she appeared in a now-infamous interview with Katie Couric, she responded to a clumsy series of questions about genitalia and surgery with a classy, informative, calm focus on the real issues facing the trans community. Recognition of her advocacy work garnered Cox a position in history as the first out trans person to feature on the cover of Time magazine. She is also the first African-American transgender person to produce and star in her own TV show, the VH1 makeover program TRANSform Me. As LGBT rights move forward in the 21st Century, the needs and issues of the “T” in the acronym often get overlooked or sacrificed for political expediency. Laverne Cox is a strong, smart voice dedicated to reversing that trend. Her work is critically important and her dedication is impressive. I hope all of us will stand in solidarity with the transgender community.